Before the introduction of knitting to England in the 15th century, all hose were made from woven fabrics, either linen or wool. 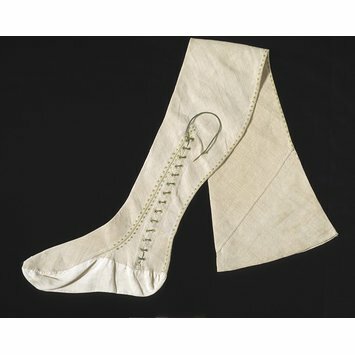 By the beginning of the 17th century knitted stockings were the most popular form of hose, but the cut versions like this example continued to be worn. The stocking has been cut to follow the shape of the leg as closely as possible to prevent sagging. 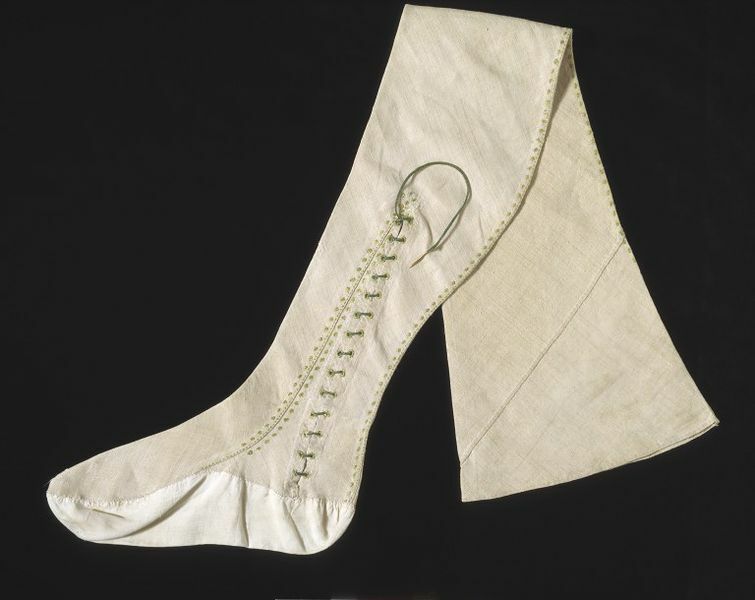 Cut hose were often worn under knitted silk hose, but the embroidered edgings in green silk meant that this one could also be worn on its own.